23:26: Cedric Williams Jr. edited the data for Anonymous Anonymous (Reed) Anonymous. (Merged Reel-393 into Reed-18898: Typo) [Thank Cedric for this] 23:26: Cedric Williams Jr. edited the data for Nancy J. Reel (1842-). (Merged Reel-393 into Reed-18898) [Thank Cedric for this] 23:26: Cedric Williams Jr. created Anonymous Anonymous (Reed) Anonymous. [Thank Cedric for this] 23:25: Cedric Williams Jr. added Nancy J. Reel (1842-) as mother for Sarah Elizabeth Logan (1879-). [Thank Cedric for this] 23:25: Cedric Williams Jr. created Nancy J. Reel (1842-). [Thank Cedric for this] 23:22: Cedric Williams Jr. edited the data for James Henry Crowe (1877-). [Thank Cedric for this | 1 thank-you received] 23:22: Cedric Williams Jr. added Sarah Elizabeth Logan (1879-) as mother for Clara Crowe. [Thank Cedric for this] 23:22: Cedric Williams Jr. created Sarah Elizabeth Logan (1879-). [Thank Cedric for this] 21:31: Cedric Williams Jr. edited the Biography for David Williams (1793-1858). [Thank Cedric for this] 21:20: Cedric Williams Jr. edited the Birth Date and Status Indicators for James Alexander Meek (abt.1850-abt.1900). [Thank Cedric for this] 21:12: Cedric Williams Jr. edited the Photo Title and Photo Date on Alden-2701.jpg (Williams-72067 updated photo) [Thank Cedric for this] 21:01: Cedric Williams Jr. added [Living Unknown] as spouse for [Living Alden]. [Thank Cedric for this] 21:01: Cedric Williams Jr. created [Living Unknown]. [Thank Cedric for this] 20:58: Cedric Williams Jr. added [Living Alden] as father for [Living Alden]. [Thank Cedric for this] 20:58: Cedric Williams Jr. created [Living Alden]. [Thank Cedric for this] 20:47: Cedric Williams Jr. added a comment on Image:Alden-2701.jpg. [Thank Cedric for this] 20:46: Cedric Williams Jr. added a comment on Image:Alden-2701.jpg. [Thank Cedric for this] 20:45: Cedric Williams Jr. edited the Primary Photo for [Living Alden]. [Thank Cedric for this] 20:45: Cedric Williams Jr. uploaded Alden-2701.jpg for [Living Alden]. [Thank Cedric for this] 20:27: Cedric Williams Jr. edited the Photo Title and Photo Date on Alden-2705.jpg (Williams-72067 updated photo) [Thank Cedric for this] 20:22: Cedric Williams Jr. edited the Primary Photo for [Living Alden]. [Thank Cedric for this] 20:22: Cedric Williams Jr. uploaded Alden-2705.jpg for [Living Alden]. [Thank Cedric for this] 20:18: Cedric Williams Jr. edited the Primary Photo for Allyson (Williams) Alden. [Thank Cedric for this] 20:18: Cedric Williams Jr. uploaded Williams-72074.jpg for Allyson (Williams) Alden. 21:58: Cedric Williams Jr. edited the Middle Name and Current Last Name for Charlotte (Williams) Tower. [Thank Cedric for this] 21:48: Cedric Williams Jr. edited the Biography for Benjamin Walter Crowe (abt.1910-aft.1952). [Thank Cedric for this] 21:46: Cedric Williams Jr. edited the Biography, First Name, Middle Name and Preferred Name for Benjamin Walter Crowe (abt.1910-aft.1952). [Thank Cedric for this] 18:34: Cedric Williams Jr. edited a comment from Cedric Williams Jr.. [Thank Cedric for this] 18:32: Cedric Williams Jr. edited the Primary Photo for Jesse Williams (1690-). [Thank Cedric for this] 18:32: Cedric Williams Jr. uploaded Williams-7354.pdf for Jesse Williams (1690-). [Thank Cedric for this] 18:24: Cedric Williams Jr. added a comment on Image:Williams-72068-2.jpg. 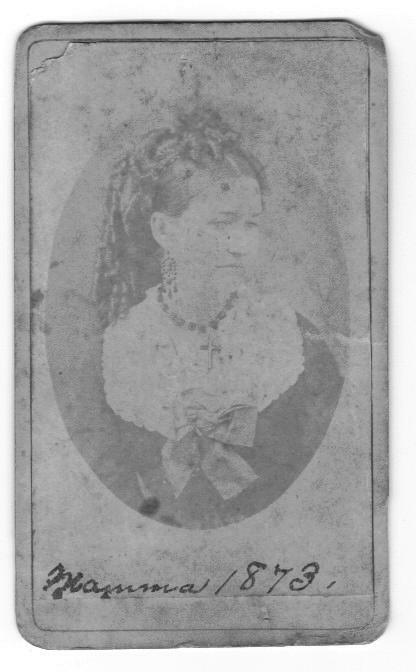 [Thank Cedric for this] 18:22: Cedric Williams Jr. uploaded Williams-72068-2.jpg for Cedric Williams Sr..
[Thank Cedric for this] 18:13: Cedric Williams Jr. added Meek-1823-1.jpg as Primary Photo for Maxie Leah Meek (1869-1955) [Thank Cedric for this] 18:13: Cedric Williams Jr. edited the Primary Photo for Maxie Leah Meek (1869-1955). 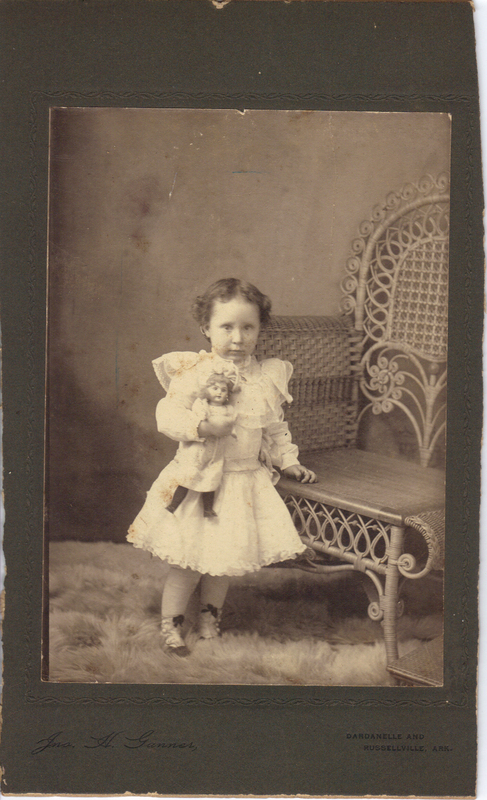 [Thank Cedric for this] 18:12: Cedric Williams Jr. uploaded Meek-1823-1.jpg for Maxie Leah Meek (1869-1955). [Thank Cedric for this] 13:11: Cedric Williams Jr. edited the Photo Date on Conner-4000.jpg (Williams-72067 updated photo) [Thank Cedric for this] 13:08: Cedric Williams Jr. edited the Primary Photo for Mary (Conner) Meek (abt.1849-abt.1900). 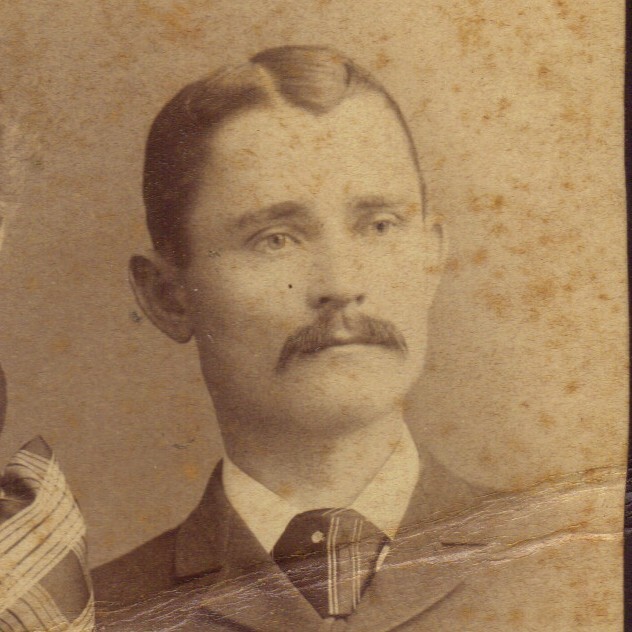 [Thank Cedric for this] 13:08: Cedric Williams Jr. uploaded Conner-4000.jpg for Mary (Conner) Meek (abt.1849-abt.1900). 01:43: Cedric Williams Jr. added a comment on Image:Williams-72077.jpg. [Thank Cedric for this] 01:32: Cedric Williams Jr. edited the Primary Photo for David Williams (1793-1858). [Thank Cedric for this] 01:32: Cedric Williams Jr. uploaded Williams-72077.jpg for David Williams (1793-1858). 23:34: Cedric Williams Jr. edited the Photo Date on Williams-72069.jpg (Williams-72067 updated photo) [Thank Cedric for this] 23:33: Cedric Williams Jr. edited the Primary Photo for Jo Desha Williams (1866-1950). [Thank Cedric for this] 23:33: Cedric Williams Jr. uploaded Williams-72069.jpg for Jo Desha Williams (1866-1950). [Thank Cedric for this] 22:46: Cedric Williams Jr. edited the Primary Photo for Paul Meek Williams (1894-). [Thank Cedric for this] 22:46: Cedric Williams Jr. uploaded Williams-72309.jpg for Paul Meek Williams (1894-). [Thank Cedric for this] 22:16: Cedric Williams Jr. added a comment on Image:Williams-72305-1.jpg. 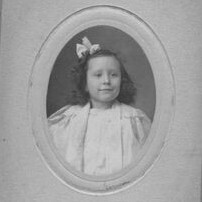 [Thank Cedric for this] 22:15: Cedric Williams Jr. uploaded Williams-72305-1.jpg for Katherine Leah Williams (1899-1904). [Thank Cedric for this] 21:36: Cedric Williams Jr. added a comment on Image:Williams-72068-1.jpg. [Thank Cedric for this] 21:34: Cedric Williams Jr. edited the data on Williams-72305.jpg (Williams-72067 updated photo) [Thank Cedric for this] 21:34: Cedric Williams Jr. edited the data on Williams-72305.jpg (Williams-72067 updated photo) [Thank Cedric for this] 21:34: Cedric Williams Jr. edited the data on Williams-72305.jpg (Williams-72067 updated photo) [Thank Cedric for this] 21:34: Cedric Williams Jr. added a comment on Image:Williams-72305.jpg. [Thank Cedric for this] 21:29: Cedric Williams Jr. edited the Primary Photo for Katherine Leah Williams (1899-1904). [Thank Cedric for this] 21:29: Cedric Williams Jr. uploaded Williams-72305.jpg for Katherine Leah Williams (1899-1904). [Thank Cedric for this] 21:26: Cedric Williams Jr. added Jo Duffie Williams (1903-) as sibling for Paul Meek Williams (1894-). [Thank Cedric for this] 21:26: Cedric Williams Jr. created Jo Duffie Williams (1903-). [Thank Cedric for this] 21:22: Cedric Williams Jr. added Paul Meek Williams (1894-) as child for Jo Desha Williams (1866-1950). [Thank Cedric for this] 21:22: Cedric Williams Jr. created Paul Meek Williams (1894-). [Thank Cedric for this] 20:38: Cedric Williams Jr. added Mildred Imogene Williams (1890-1890) as sibling for Katherine Leah Williams (1899-1904). [Thank Cedric for this] 20:38: Cedric Williams Jr. created Mildred Imogene Williams (1890-1890). [Thank Cedric for this] 20:35: Cedric Williams Jr. added Katherine Leah Williams (1899-1904) as child for Jo Desha Williams (1866-1950). [Thank Cedric for this] 20:35: Cedric Williams Jr. created Katherine Leah Williams (1899-1904). [Thank Cedric for this] 20:14: Cedric Williams Jr. uploaded Wix-127-2.jpg for [Living Wix]. [Thank Cedric for this] 19:56: Cedric Williams Jr. uploaded Wix-127.pdf for [Living Wix]. [Thank Cedric for this] 19:43: Cedric Williams Jr. added Williams-72068-1.jpg as Primary Photo for Cedric Williams Sr. [Thank Cedric for this] 19:43: Cedric Williams Jr. edited the Primary Photo for Cedric Williams Sr.. [Thank Cedric for this] 19:42: Cedric Williams Jr. uploaded Williams-72068-1.jpg for Cedric Williams Sr..
21:18: Cedric Williams Jr. added Charles Henry Crowe (1909-1958) as child for James Henry Crowe (1877-). [Thank Cedric for this] 21:18: Cedric Williams Jr. created Charles Henry Crowe (1909-1958). [Thank Cedric for this] 20:59: Cedric Williams Jr. added Allyson (Williams) Alden as manager for profile of Cedric Williams Jr.. [Thank Cedric for this] 20:29: Cedric Williams Jr. added Bertha Davis as mother for [Living Davis]. [Thank Cedric for this] 20:29: Cedric Williams Jr. created Bertha Davis. [Thank Cedric for this] 20:26: Cedric Williams Jr. added [Living Davis] as mother for [Living Wix]. [Thank Cedric for this] 20:26: Cedric Williams Jr. created [Living Davis]. [Thank Cedric for this] 20:10: Cedric Williams Jr. edited the Nicknames for [Living Alden]. [Thank Cedric for this] 20:09: Cedric Williams Jr. added [Living Alden] as child for Allyson (Williams) Alden. [Thank Cedric for this] 20:09: Cedric Williams Jr. created [Living Alden]. [Thank Cedric for this] 20:05: Cedric Williams Jr. edited the Nicknames for [Living Alden]. [Thank Cedric for this] 20:02: Cedric Williams Jr. edited the Primary Photo for [Living Alden]. [Thank Cedric for this] 20:02: Cedric Williams Jr. uploaded Alden-2704.jpg for [Living Alden]. [Thank Cedric for this] 20:00: Cedric Williams Jr. added [Living Alden] as child for Allyson (Williams) Alden. [Thank Cedric for this] 20:00: Cedric Williams Jr. created [Living Alden]. [Thank Cedric for this] 19:55: Cedric Williams Jr. edited the Photo Date on Alden-2703.jpg (Williams-72067 updated photo) [Thank Cedric for this] 19:52: Cedric Williams Jr. edited the Primary Photo for [Living Alden]. [Thank Cedric for this] 19:52: Cedric Williams Jr. uploaded Alden-2703.jpg for [Living Alden]. [Thank Cedric for this] 19:50: Cedric Williams Jr. added [Living Alden] as child for Allyson (Williams) Alden. [Thank Cedric for this] 19:50: Cedric Williams Jr. created [Living Alden]. [Thank Cedric for this] 19:35: Cedric Williams Jr. edited the Birth Place, Death Place and Status Indicators for James Henry Crowe (1877-). [Thank Cedric for this] 19:33: Cedric Williams Jr. edited the Birth Date for James Henry Crowe (1877-). [Thank Cedric for this] 17:55: Cedric Williams Jr. edited the Primary Photo for [Living Alden]. [Thank Cedric for this] 17:55: Cedric Williams Jr. uploaded Alden-2702.jpg for [Living Alden]. [Thank Cedric for this] 17:54: Cedric Williams Jr. added [Living Alden] as child for [Living Alden]. [Thank Cedric for this] 17:54: Cedric Williams Jr. created [Living Alden]. [Thank Cedric for this] 17:51: Cedric Williams Jr. added [Living Alden] as spouse for Allyson (Williams) Alden. [Thank Cedric for this] 17:51: Cedric Williams Jr. created [Living Alden]. [Thank Cedric for this] 17:30: Cedric Williams Jr. edited the data for Allyson (Williams) Alden. (Merged Williams-72176 into Williams-72074: Clear duplicate.) [Thank Cedric for this] 17:30: Cedric Williams Jr. edited the data for Allyson (Williams) Alden. (Merged Williams-72176 into Williams-72074) [Thank Cedric for this] 16:58: Cedric Williams Jr. edited the Status Indicators for Allyson (Williams) Alden. [Thank Cedric for this] 16:46: Cedric Williams Jr. edited the Primary Photo for Charles Williams. [Thank Cedric for this] 16:46: Cedric Williams Jr. uploaded Williams-72093.jpg for Charles Williams. [Thank Cedric for this] 16:39: Cedric Williams Jr. edited the Primary Photo for Clara (Davis) McDonald. [Thank Cedric for this] 16:39: Cedric Williams Jr. uploaded Davis-64224.jpg for Clara (Davis) McDonald. [Thank Cedric for this] 16:36: Cedric Williams Jr. edited the Biography, Current Last Name and Status Indicators for Clara (Davis) McDonald. [Thank Cedric for this] 16:34: Cedric Williams Jr. added Clara (Davis) McDonald as sibling for Charles Williams. [Thank Cedric for this] 16:34: Cedric Williams Jr. created Clara (Davis) McDonald. [Thank Cedric for this] 16:28: Cedric Williams Jr. edited the Primary Photo for [Living Williams]. [Thank Cedric for this] 16:28: Cedric Williams Jr. edited the Photo Date on [deleted] [Thank Cedric for this] 15:37: Cedric Williams Jr. edited the People in the Photo and Photo Date on [deleted] [Thank Cedric for this] 15:30: Cedric Williams Jr. edited the Primary Photo for [Living Williams]. [Thank Cedric for this] 15:30: Cedric Williams Jr. uploaded [deleted] for [Living Williams]. 22:28: Cedric Williams Jr. edited the Biography, Birth Place, Death Place and Status Indicators for Elizabeth G. Williams (1827-1895). [Thank Cedric for this] 22:23: Cedric Williams Jr. edited the Death Place for Hettie Rowe (Williams) Neat (abt.1825-1906). [Thank Cedric for this] 22:18: Cedric Williams Jr. added Julian Otis Williams (abt.1869-) as sibling for Martha (Williams) Fisher (1865-1930). [Thank Cedric for this] 22:18: Cedric Williams Jr. created Julian Otis Williams (abt.1869-). [Thank Cedric for this] 21:58: Cedric Williams Jr. edited the First Name and Preferred Name for Margaret Letcher Williams (1861-1922). [Thank Cedric for this] 21:56: Cedric Williams Jr. added Martha (Williams) Fisher (1865-1930) as sibling for Margaret Letcher Williams (1861-1922). [Thank Cedric for this] 21:56: Cedric Williams Jr. created Martha (Williams) Fisher (1865-1930). [Thank Cedric for this] 21:50: Cedric Williams Jr. added Margaret Letcher Williams (1861-1922) as sibling for Mildred Carlton Williams (1856-1932). [Thank Cedric for this] 21:50: Cedric Williams Jr. created Margaret Letcher Williams (1861-1922). [Thank Cedric for this] 21:41: Cedric Williams Jr. added Mildred Carlton Williams (1856-1932) as sibling for Urban Orville Williams (1853-). [Thank Cedric for this] 21:41: Cedric Williams Jr. created Mildred Carlton Williams (1856-1932). [Thank Cedric for this] 21:35: Cedric Williams Jr. added Urban Orville Williams (1853-) as sibling for A. Virgil Williams (1852-aft.1852). [Thank Cedric for this] 21:35: Cedric Williams Jr. created Urban Orville Williams (1853-). [Thank Cedric for this] 21:29: Cedric Williams Jr. added A. Virgil Williams (1852-aft.1852) as sibling for Lucien Eugene Williams (1849-1900). [Thank Cedric for this] 21:29: Cedric Williams Jr. created A. Virgil Williams (1852-aft.1852). 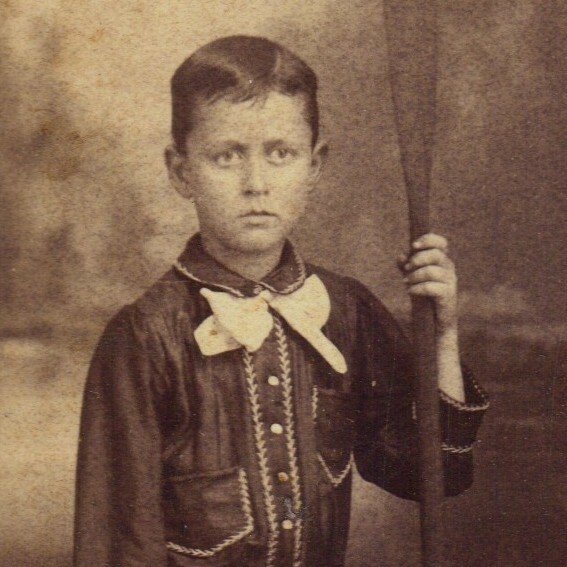 [Thank Cedric for this] 21:24: Cedric Williams Jr. added Lucien Eugene Williams (1849-1900) as child for Jacob Williams (abt.1822-1900). [Thank Cedric for this] 21:24: Cedric Williams Jr. created Lucien Eugene Williams (1849-1900). [Thank Cedric for this] 21:18: Cedric Williams Jr. edited the data for Jacob Mueller (abt.1800-abt.1880). 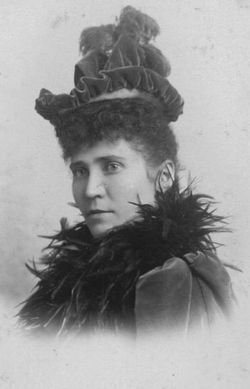 [Thank Cedric for this] 21:18: Cedric Williams Jr. added Elisabeth Mueller (abt.1800-abt.1880) as mother for Catherine C. (Mueller) Williams (1825-1876). [Thank Cedric for this] 21:18: Cedric Williams Jr. created Elisabeth Mueller (abt.1800-abt.1880). [Thank Cedric for this] 21:13: Cedric Williams Jr. edited the Biography and Middle Name for Jacob Mueller (abt.1800-abt.1880). 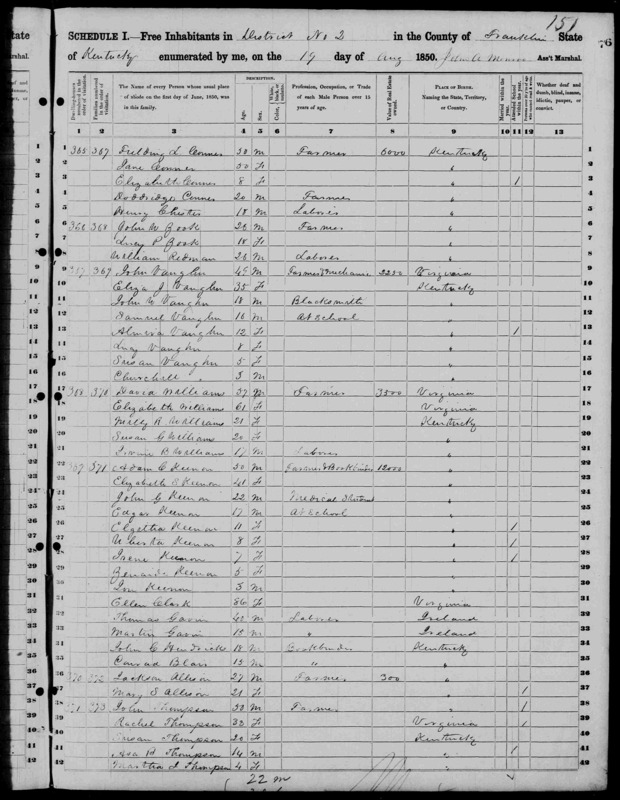 [Thank Cedric for this] 21:12: Cedric Williams Jr. added Jacob Mueller (abt.1800-abt.1880) as father for Catherine C. (Mueller) Williams (1825-1876). [Thank Cedric for this] 21:12: Cedric Williams Jr. created Jacob Mueller (abt.1800-abt.1880). [Thank Cedric for this] 14:39: Cedric Williams Jr. edited the Primary Photo for Urban Valentine Williams (1833-1920). [Thank Cedric for this] 14:39: Cedric Williams Jr. uploaded Williams-72112.jpg for Urban Valentine Williams (1833-1920). 23:21: Cedric Williams Jr. added Millie R Williams (1829-1900) as child for David Williams (1793-1858). [Thank Cedric for this] 23:21: Cedric Williams Jr. created Millie R Williams (1829-1900). [Thank Cedric for this] 23:00: Cedric Williams Jr. added Jacob Williams (1790-1841) as child for Jesse Ensign Williams (1750-1834). [Thank Cedric for this] 23:00: Cedric Williams Jr. created Jacob Williams (1790-1841). [Thank Cedric for this] 22:53: Cedric Williams Jr. added John Williams (1788-abt.1859) as sibling for Sarah Williams (1784-abt.1794). [Thank Cedric for this] 22:53: Cedric Williams Jr. created John Williams (1788-abt.1859). [Thank Cedric for this] 22:51: Cedric Williams Jr. added Sarah Williams (1784-abt.1794) as sibling for Susan Williams (1781-). [Thank Cedric for this] 22:51: Cedric Williams Jr. created Sarah Williams (1784-abt.1794). [Thank Cedric for this] 22:47: Cedric Williams Jr. added Susan Williams (1781-) as sibling for Elizabeth Williams (1778-abt.1878). [Thank Cedric for this] 22:47: Cedric Williams Jr. created Susan Williams (1781-). [Thank Cedric for this] 22:44: Cedric Williams Jr. added Elizabeth Williams (1778-abt.1878) as sibling for Richard Gott Williams (1776-1876). [Thank Cedric for this] 22:44: Cedric Williams Jr. created Elizabeth Williams (1778-abt.1878). [Thank Cedric for this] 22:38: Cedric Williams Jr. added Richard Gott Williams (1776-1876) as sibling for Joseph Williams (1775-). [Thank Cedric for this] 22:38: Cedric Williams Jr. created Richard Gott Williams (1776-1876). [Thank Cedric for this] 22:25: Cedric Williams Jr. added Joseph Williams (1775-) as sibling for David Williams (1793-1858). [Thank Cedric for this] 22:25: Cedric Williams Jr. created Joseph Williams (1775-). [Thank Cedric for this] 22:13: Cedric Williams Jr. added Elizabeth G. Williams (1827-1895) as sibling for Hettie Rowe (Williams) Neat (abt.1825-1906). [Thank Cedric for this] 22:13: Cedric Williams Jr. created Elizabeth G. Williams (1827-1895). [Thank Cedric for this] 22:09: Cedric Williams Jr. added Hettie Rowe (Williams) Neat (abt.1825-1906) as child for David Williams (1793-1858). [Thank Cedric for this] 22:09: Cedric Williams Jr. created Hettie Rowe (Williams) Neat (abt.1825-1906). [Thank Cedric for this] 21:50: Cedric Williams Jr. edited the Marriage Data for David Williams (1793-1858). [Thank Cedric for this] 21:41: Cedric Williams Jr. edited the Marriage Data for Jesse Ensign Williams (1750-1834). [Thank Cedric for this] 20:57: Cedric Williams Jr. signed the Wiki Genealogist Honor Code. [Thank Cedric for this] 20:25: Cedric Williams Jr. edited the Birth Place and Status Indicators for Maxie Leah Meek (1869-1955). [Thank Cedric for this] 20:20: Cedric Williams Jr. edited the Status Indicators for Jo Desha Williams (1866-1950). [Thank Cedric for this] 20:19: Cedric Williams Jr. edited the Status Indicators for Jo Desha Williams (1866-1950). [Thank Cedric for this] 20:11: Cedric Williams Jr. edited the data for James Alexander Meek (abt.1850-abt.1900). [Thank Cedric for this] 20:11: Cedric Williams Jr. added Mary (Conner) Meek (abt.1849-abt.1900) as mother for Maxie Leah Meek (1869-1955). [Thank Cedric for this] 20:11: Cedric Williams Jr. created Mary (Conner) Meek (abt.1849-abt.1900). [Thank Cedric for this] 20:02: Cedric Williams Jr. edited the Marriage Data for Maxie Leah Meek (1869-1955). 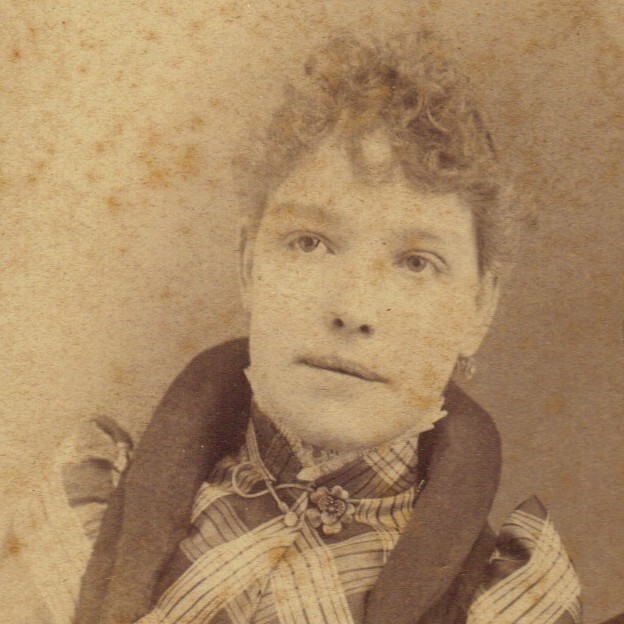 [Thank Cedric for this] 19:58: Cedric Williams Jr. added Mary Emily Conner (abt.1800-abt.1900) as spouse for James Alexander Meek (abt.1850-abt.1900). [Thank Cedric for this] 19:58: Cedric Williams Jr. created Mary Emily Conner (abt.1800-abt.1900). [Thank Cedric for this] 19:53: Cedric Williams Jr. added James Alexander Meek (abt.1850-abt.1900) as father for Maxie Leah Meek (1869-1955). 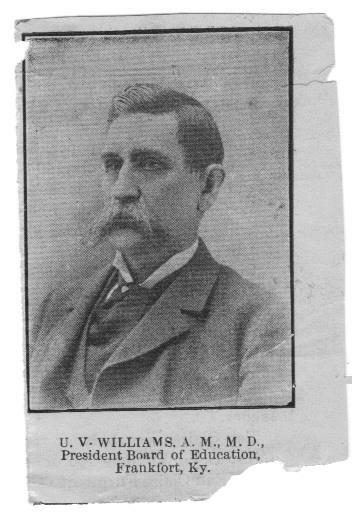 [Thank Cedric for this] 19:53: Cedric Williams Jr. created James Alexander Meek (abt.1850-abt.1900). [Thank Cedric for this] 19:28: Cedric Williams Jr. added Charles Williams as sibling for Cedric Williams Jr.. [Thank Cedric for this] 19:28: Cedric Williams Jr. created Charles Williams. [Thank Cedric for this] 19:23: Cedric Williams Jr. edited the Photo Title on Wix-127.jpg (Williams-72067 updated photo) [Thank Cedric for this] 19:19: Cedric Williams Jr. edited the Primary Photo for [Living Wix]. [Thank Cedric for this] 19:19: Cedric Williams Jr. uploaded Wix-127.jpg for [Living Wix]. 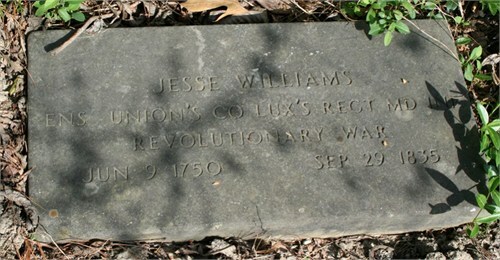 [Thank Cedric for this] 18:03: Cedric Williams Jr. edited the data for Jesse Ensign Williams (1750-1834). [Thank Cedric for this] 18:03: Cedric Williams Jr. added Elizabeth Rachel (Gott) Williams (1754-1794) as mother for David Williams (1793-1858). [Thank Cedric for this] 18:03: Cedric Williams Jr. created Elizabeth Rachel (Gott) Williams (1754-1794). [Thank Cedric for this] 17:47: Cedric Williams Jr. edited the Primary Photo for Maxie Leah Meek (1869-1955). [Thank Cedric for this] 17:47: Cedric Williams Jr. uploaded Meek-1823.jpg for Maxie Leah Meek (1869-1955). [Thank Cedric for this] 17:43: Cedric Williams Jr. added a comment on Image:Williams-72068.jpg. [Thank Cedric for this] 17:41: Cedric Williams Jr. edited the Primary Photo for Cedric Williams Sr.. [Thank Cedric for this] 17:41: Cedric Williams Jr. uploaded Williams-72068.jpg for Cedric Williams Sr..